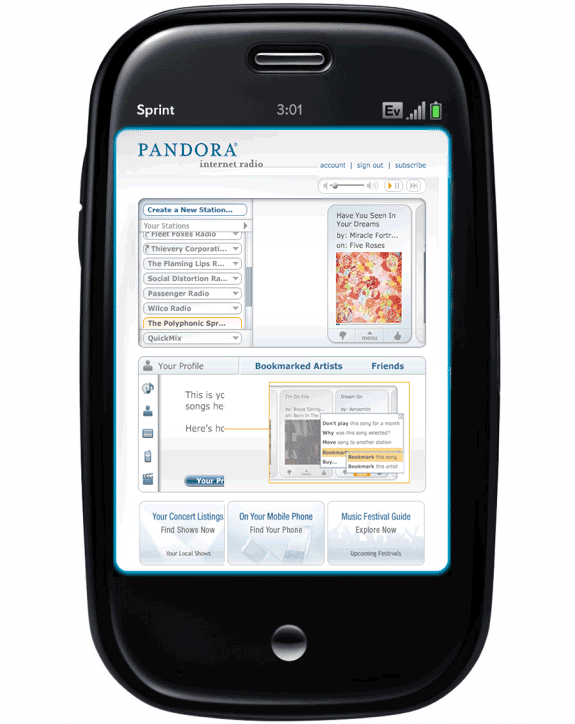 Pandora Radio Heading for the Pre Next? 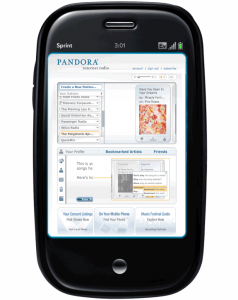 As we heard during the Palm Pre Keynote, Pandora has already begun work on a webOS version - Colligan even noted that it took Pandora only 3 days to get their app up and running on the Pre. For those unfamiliar, Pandora Radio is a free app that lets you create your own personalized radio station by streaming music from your favorite artists, songs or classical composers and suggesting other selections you might like. It has been around quite awhile, but hit the big time with the iPhone. According to the 148apps.com list of the top iPhone apps ever, Pandora ranks 19th. And another source, Mobclix, has named it the number one music app. Needless to say, Pandora's take on the Pre can be viewed as a glowing endorsement, especially considering the platforms that could have been considered (i.e. Google Android, Research in Motion’s BlackBerry). Thanks to David for the tip! Have a tip for us? Let us know here!